At KOU we believe that small changes make difference. Our goal is to see the obvious a little differently. To believe in the people's creativity. To create together, raise and nourish it together. To look for new excitement we haven't experienced before. We would like to create a 'place' where people can gather and create a society. We would like to develope a tool which makes people happy. therefore we decided to create a 'game'. while we are developing an enterprise which focuses on the possibilities of combining 'Community' and 'Technology' to create the future type of currency. KOU is a community-coin application designed for smartphone. 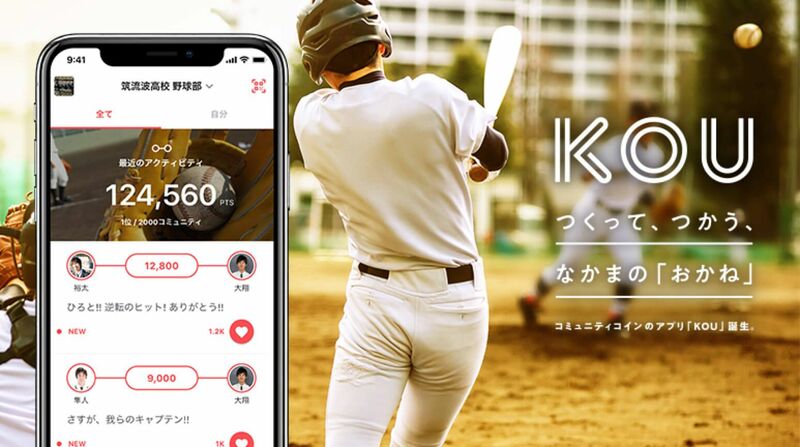 With the service provided by KOU the users can easily create communities in which exchanging of an original 'coin' becomes possible between friends/users. KOU can be used as a new way - other than sending a 'like' or giving 'money' - to reward one's friends. At KOU we believe that small changes make big differences. We are looking for new members who share our belief and would like to join our work to make difference. For more information please visit 'Wantedly'. We are looking forward to your application.